Maria Callas (December 2, 1923 ? September 16, 1977) was an American-born Greek soprano and one of the most renowned opera singers of the 20th century. By combining an impressive bel canto technique, a wide-ranging voice and great dramatic talent, she became the most famous singing actress of the era. An extremely versatile singer, her repertoire ranged from classical opera seria to the bel canto operas of Donizetti, Bellini and Rossini; further, to the works of Verdi and Puccini; and, in her early career, to the music dramas of Wagner. An extremely versatile singer, her repertoire ranged from classical opera seria to the bel canto operas of Donizetti, Bellini and Rossini; further, to the works of Verdi and Puccini; and, in her early career, to the music dramas of Wagner. Her remarkable musical and dramatic talents led to her being hailed as La Divina. She also achieved success as a cinematic actress, playing the title role in Pasolini's Medea. Born in New York City and raised by an overbearing mother, she received her musical education in Greece and established her career in Italy. Forced to deal with the exigencies of wartime poverty and with myopia that left her nearly blind onstage, she endured struggles and scandal over the course of her career. She turned herself from a heavy woman into a svelte and glamorous one after a mid-career weight loss, which might have contributed to her vocal decline and the premature end of her career. The press exulted in publicizing Callas's allegedly temperamental behaviour, her supposed rivalry with Renata Tebaldi and her love affair with Aristotle Onassis. 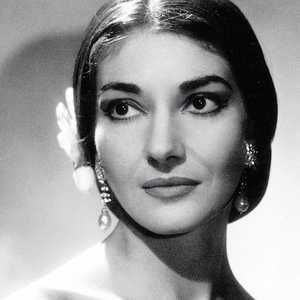 Her dramatic life and personal tragedy have often overshadowed Callas the artist in the popular press. However, her artistic achievements were such that Leonard Bernstein called her "The Bible of opera"; and her influence was so enduring that, in 2006, Opera News wrote of her: "Nearly thirty years after her death, she's still the definition of the diva as artist?and still one of classical music's best-selling vocalists."